Advanced Telecommunications Research Institute International (ATR) and Entrepreneurs Roundtable Accelerator (ERA) signed a memorandum of understanding (MoU) to proactively support activities targeting start-ups. So far, ATR has been dedicated to nurturing new business and building an innovation hub as a core organization of the Keihanna Research Complex (Keihanna RC), which aims to generate internationally recognized innovations in the Keihanna Science City. New York is widely recognized as a top global tech city; ERA is NYC’s leading technology and start-up accelerator. 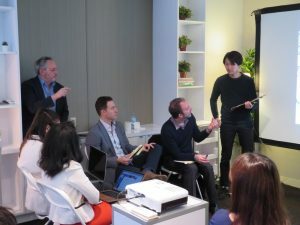 ATR and ERA will continue to foster their current cooperative relationship: ERA has offered a one-week intensive program to Japanese start-ups yearly since 2017. Additionally, ATR will further develop their overseas commercialization support; ATR is planning to enrich the program by adding another training course of a few months as well as extending the target of the program to Israeli and Barcelona’s start-ups as these two places have strong relationship with Keihanna RC. Keihanna RC will create a next-generation smart city with ‘Meta-Comfort,’ which aims to generate empathy in people’s hearts; assist start-ups with innovative technological seeds or business ideas; promote an open innovation; and establish a global innovation ecosystem. * Accelerator: an organization that helps entrepreneurs or start-ups grow quickly and become successful. 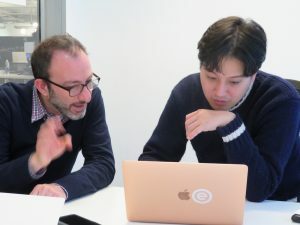 As one of the Keihanna RC’s commercialization support activities, ERA provides start-ups with one-week intensive mentoring and opportunities to pitch to the US investors. 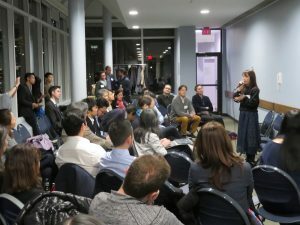 In fiscal 2018, five out of nominated twelve start-ups from Keihanna Venture Championship, a regularly-held pitch tournament organized by the Keihanna RC, went to New York City in March to take the ERA’s program. The debriefing meeting will be held on April 15. ・Keihanna Science City has been constructed under a Japanese national project, and 30 years have passed since its construction began. Currently, there are more than 130 research laboratories, universities and companies located in this area, and these have been achieving many leading-edge outcomes in research and development. Now that the city has entered its next phase, the Keihanna Research Complex project, called Keihanna RC, is stimulating organizations in this area to cooperate with others, both within and outside the area, in the pursuit of world-class innovations. The project is being promoted with a variety of tools: integrated R&D in different fields; human resources development; commercialization support; equipment sharing; and an innovation hub & overall promotion. ・Aiming to promote innovations and contribute to regional revitalization, ATR pursues world-leading, ingenious research achievements in computational neuroscience, life-supporting robots, wireless communications, and life science as well as their business developments, in collaboration between industry, academia and government. In the Keihanna RC project, ATR promotes global business-to-business matchings and supports start-ups as one of the core organizations in charge of business development support and creation of an innovation hub. Entrepreneurs Roundtable Accelerator is New York City’s leading technology accelerator and early-stage venture capital fund. ERA has built NYC’s strongest mentor network with 500+ experts including investors, technologists, product specialists, marketers, and, sales execs, across all major industries represented in NYC. It has invested in more than 180 start-ups since launching in 2011. Its alumni companies, who come from all over the world, are already playing leading roles in the evolution of virtually every major global industry. To date, ERA alumni companies have raised more than $300M in capital and exceed $2 billion in market capitalization.